The first thing you need for a toddler first aid kit is a box or bag or some kind of a container that keeps all of the following items in one place. Everyone with toddlers and preschoolers need a toddler first aid kit. So, now that you have them, let me tell you why I am writing this post. Destini was out playing the other day and she cut her foot, at first I thought she had gotten a sticker or something in it from the grass, but it was more serious than that. She had gotten a pretty large cut in her foot from a peice of glass. There was blood everywhere and she was freaked out by it. I had the dark washcloth that I had to search for and that helped her not “see” the blood anymore, and I had bandages, and I also had soap and water and antibiotic ointment. Now to what I did not have. What I did not have was any of these things in a central location or bag that I could find. She is screaming and I am running around the house carrying a three yr old looking for stuff like wound wash. Crazy! I wrote this post because I think sometimes we get complacent and think we have what we need for an emergency, but when it arises you find you don’t. We tend to think in two ways, very minor, like we need a band aid for a boo-boo, or very major, I can always call 911, but there are very in between times where we can do ourselves we just need the right tools. 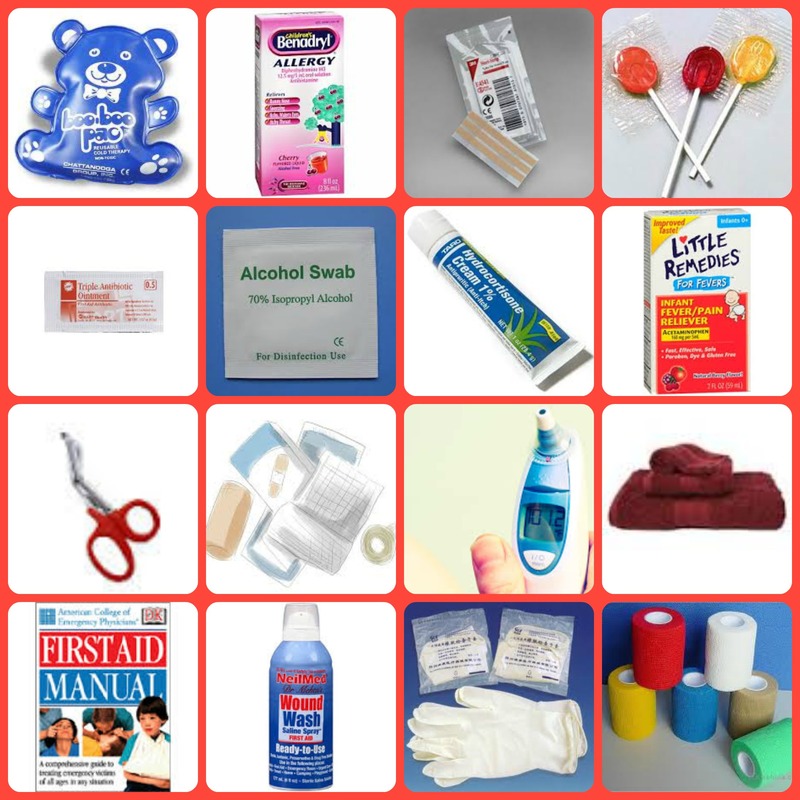 A toddler first aid kit is different than an adult one, you need smaller things. Have you ever seen a full size ice pack on toddlers, they are just too big. Elastic bandages and band aids need to be smaller sized too, and don’t forget all of your oral medications need to be specific for the age group you are gathering this for. I hope that you find this helpful. I hope that you make one for your home. With things going on its easy to get lazy about having things like this together but, as I was shown when it counts, you will be so glad you did. Places I have shared this post! These are great ideas. I need to add to our first aid kits! Thanks goodness I am past the toddler stage but this is a pretty thorough and accurate list if I do say so myself. This is a great list! I also carried a mini version in my diaper bag when we needed one. It’s good to have a good first aid kit in the house, and on for the car. If you have little one you need to include items specifically for them. Also when preparing an emergency disaster kit, thinks about any little-ones and include things to make them a little more comfortable and less scared. Great list! I always try to have most of these with us when we go hiking or camping. That is a great list of things to have. I recently got an awesome first aid kit and feel super prepared now. We have a central medicine box, but you’re right, it would be so much faster to have all of the wound-related stuff in a little bag that you could grab and take to the bathroom or wherever. These are great tips. My little guy just started walking, I have a feeling I will need this very soon! What a great list! We always have a first aid kit handy with a house full of boys! This is a really great list and a really good idea. Thank you so much for sharing.